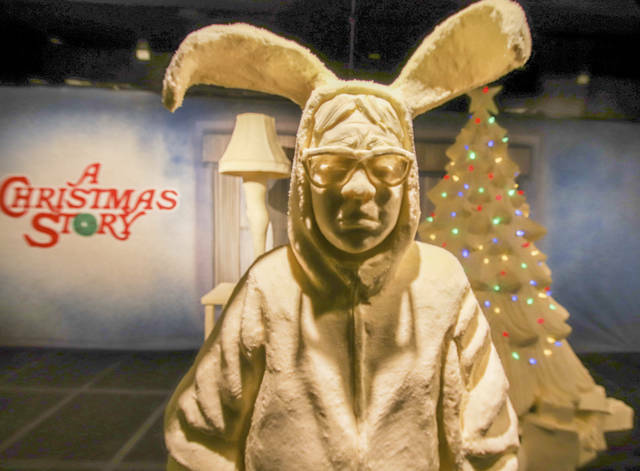 COLUMBUS, Ohio (AP) — The butter sculpture at this year’s Ohio State Fair brings a bit of Christmas in July with a dairy display of key elements from the 1983 film “A Christmas Story,” which was partly filmed in Cleveland. 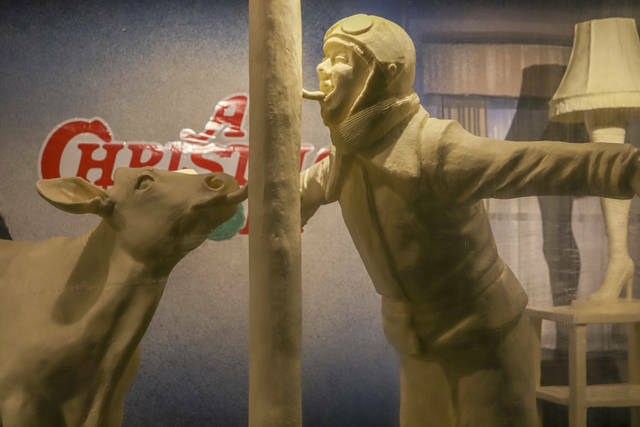 In addition to the traditional butter cow and calf, the sculpture unveiled Tuesday includes the character Ralphie in his bunny suit, the classic leg lamp and a holiday tree decorated with lights. The scene showing the licking of the frozen flagpole is there too, but this time the kid isn’t the only one with his tongue stuck. It appears the butter calf took the “triple-dog-dare,” too. 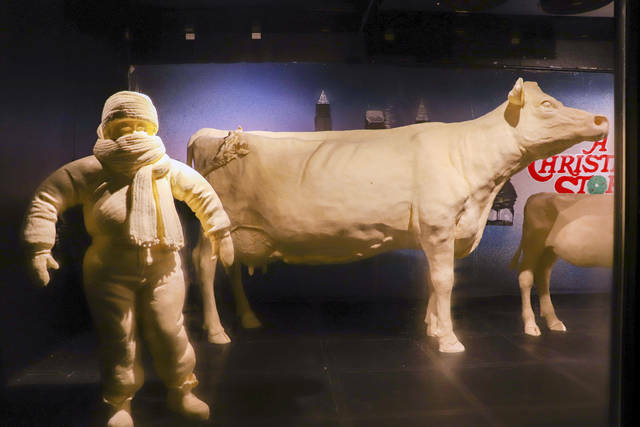 The American Dairy Association Mideast says sculptors spent more than 400 hours creating the refrigerated display out of more than a ton of butter.